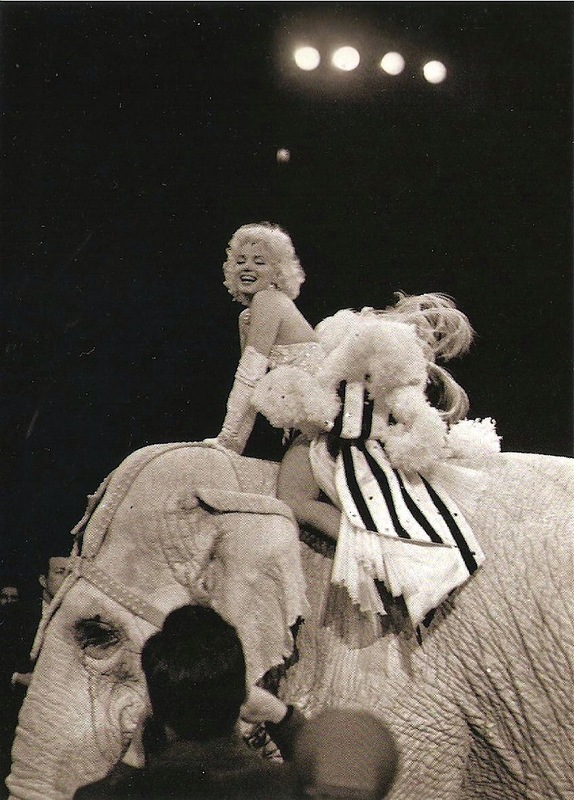 Marilyn Monroe makes a memorable guest appearance at The Ringling Bros Circus fund-raiser benefiting the New York Arthritis & Rheumatism Foundation. This was the event that re-introduced her to the world after a year in hiding. 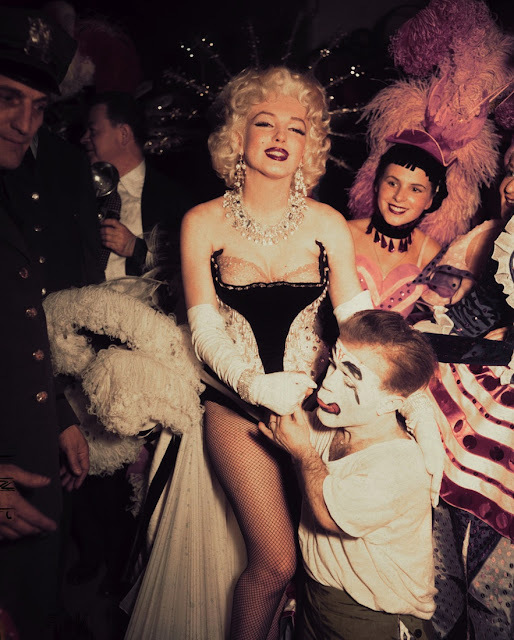 It was the "Show Of Shows" with Milton Berle as ringmaster. Milton and Marilyn were inspired and excited with the whole idea and decided to use the evening's festivities to make the formal announcement of MMP (Marilyn Monroe Productions) to the world. 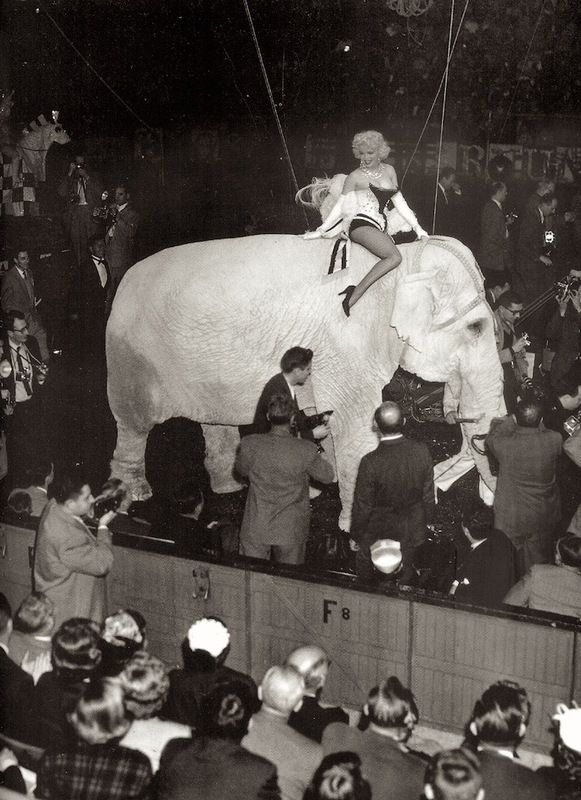 It was Miss Monroe's idea to ride a pink female elephant, complete with a pink bow on the tail, as well as a matching rhinestone harness and saddle. Mariyn's entrance and her reappearance to the world caused a media frenzy! Error. Both pictures are colorful reproductions mirror.